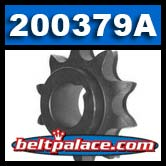 Comet 200379A, 12 tooth- 5/8" Bore TAV Sprocket. #35 Chain OEM PART: SPKT 12T 35P 5/8B TAV. Genuine Comet Industries 200379-A part. Made in USA! 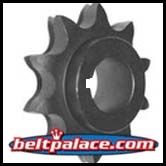 Comet 202154A - OEM Heavy Duty 9 Tooth Sprocket on TAV Series Comet Industries, 5/8� Bore, #40/41 Chain. Replaces KENBAR/MANCO 1125. Comet 202168A OEM Replacement Sprocket. Replaces: Kenbar 300-024, Baja Motorsports BB65-401. Comet 202168A Replacement Sprocket. Comet Industries 10 Tooth Sprocket for #40/#41 Chain (1/2� pitch), 5/8� Bore. Kenbar 300-024, Baja Motorsports BB65-401, Comet Industries/Hoffco 202168-A.